Like any other property, music copyrights and the individual exclusive rights thereof, can be transferred, sold, licensed, and divided among several owners. 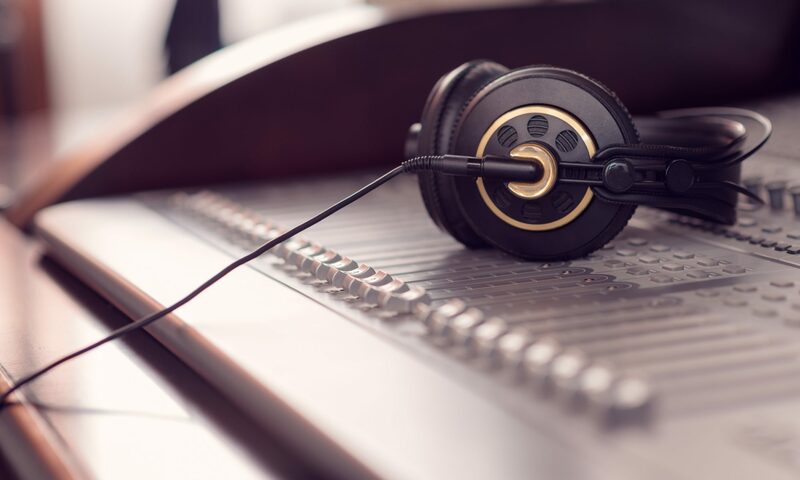 In general, to use recorded copyrighted music, you will need permission from both the musical work owner (typically a publisher) and the sound recording owner (typically a record company). Note, however, if you re-record a song (instead of using a pre-recorded version), permission is only required from the musical work owner (since you are not using someone else’s sound recording). Following are descriptions of common music licensing agreements. In a later post, I will discuss some of the specific ways in which music is used on the Internet and the types of licenses required. Mechanical Licenses: This type of license authorizes the reproduction of a musical work, which is typically controlled by a music publisher. For example, a record company will enter into a mechanical license agreement with a music publisher or other musical work owner to authorize the reproduction and distribution of a recording of the musical work. As discussed in more detail below, mechanical license fees are generally governed by a statutory compulsory license under Section 115 of the Copyright Act for which fees are set by the Copyright Royalty Board. In cases where the recording artist has written the musical work, the mechanical license fees paid by a record company will often be 75 percent of the statutory mechanical rate. Often a mechanical license at the statutory rate can be secured through The Harry Fox Agency at www.harryfox.com. The Harry Fox Agency represents music publishers by issuing a variation of the compulsory license and collecting and distributing royalties on the publishers’ behalf. In the case where the compulsory license might not apply, say in the case of music used in a video, mechanical license fees can vary widely. The user must pay the musical work copyright owner (provided the owner has registered the musical work) the compulsory license royalty for each copy made and distributed. The rates are set by the Copyright Royalty Board, which is composed of 3 full-time judges appointed by the Librarian of Congress who each serve staggered 6-year terms. The statutory rate for physical copies and permanent downloads (or “DPDs”) is 9.1 cents or 1.75 cents per minute of playing time or fraction thereof, whichever amount is larger (the rate is 9.1 cents for a song of up to 5 minutes in duration). For limited downloads and interactive streaming, in general, the royalty is 10.5 percent of revenue less the amount paid to ASCAP, BMI, and SESAC (see below) for performance royalties. For non-interactive streaming, relevant parties have agreed that no Section 115 royalty is due. For ringtones, the royalty is 24 cents per ringtone. Master Use Licenses: This type of license authorizes the reproduction of a sound recording, which is typically controlled by a record company. For example, one would need a master use license to put together a compilation record of existing recordings, to use a “sample” of an existing recording in a new song, or to use an existing recording in a film. There is no statutory compulsory license for the reproduction of sound recordings, so master use license fees can vary widely. Synchronization Licenses: This type of license, also known as a “synch” license, authorizes the reproduction of a musical work to be used in connection with visual images, such as a motion picture, television show, or television commercial. Again, synch license fees can vary widely. And, keep in mind that synch licenses generally only cover the musical work. If an existing sound recording is to be used in the new audiovisual work, a master use license is also required from the record company. Performance Licenses: The performance of musical works, for example, by playing songs on the radio, on television, on a website, or in stores, restaurants, bars, and nightclubs, is generally permitted under performance licenses issued by the three performing rights organizations (“PROs”): ASCAP (www.ascap.com), BMI (www.bmi.com), and SESAC (www.sesac.com). On behalf of affiliated writers and publishers, PROs generally issue blanket performance licenses to music users, and license fees are based on a variety of factors. For example, performance license fees for a restaurant will be based on the capacity of the restaurant, the number of speakers or televisions in the restaurant, whether customers are charged a fee, and the frequency with which music is played. Performance licenses for the use of sound recordings are only necessary when the performance is via digital audio transmission, for example, Internet radio stations (note, however, that legislation is currently pending in Congress that would require traditional over-the-air radio stations to secure performance licenses for sound recordings). In certain cases, the right to publicly perform a sound recording digitally can be secured through a compulsory license under Section 114 of the Copyright Act (which I’ll discuss in further detail in a later post), subject to the compulsory licensing requirements and fees. Print (Lyric) Licensing: This type of license, secured from the songwriter or music publisher, permits the re-printing of the lyrics to a song, for example, for karaoke CDs, sheet music, websites, T-shirts, and posters. Creative Commons Licensing: Creative Commons licensing (www.creativecommons.org) is a relatively new form of licensing pursuant to which the copyright owner relinquishes various copyright protections to permit the open public use of a work under certain conditions. For example, a Creative Commons license may permit the open use of a work provided that (1) credit is given to the author, (2) the use is for noncommercial purposes, and (3) any derivative work must be distributed under a license identical to the Creative Commons license that governs the original work. Variations of Creative Commons licensing mix and match the preceding conditions (such as permitting any use, whether commercial or noncommercial, with only attribution, or permitting any use with attribution but with a prohibition on derivative works). Creative Commons has been credited by some musicians as a way to help gain wide distribution by getting their music out to the public for free. Of course, however, once certain rights are relinquished under Creative Commons, those rights cannot be restored back to the original copyright owner.